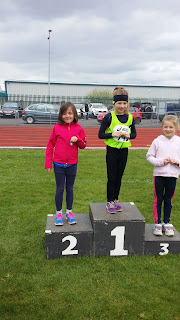 Day 1 of the Meath Championships took place on Sunday April 26th at Claremont Stadium, Navan; we had a record number of entries this year with the majority of our athletes turning up for the event. 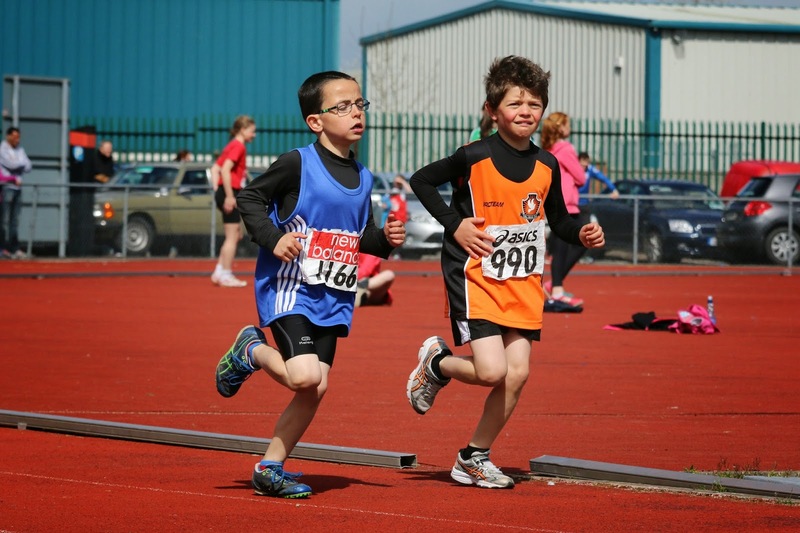 Our u9 team experienced championships competition for the first time and they did themselves proud, James Kelly winning double gold in the u9 500m and Turbo Javelin, Fionn Heffernan 3rd in the 500m, great performances also from Gavin Witter, Charlie O’ Connor, Liam Walsh and Conor Walsh. 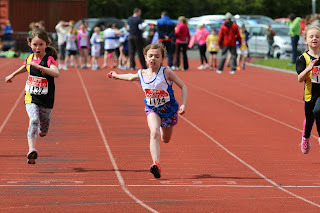 Katie Doherty finished joint 1st in the girl’s u9 60m, Isabelle Wallace 2nd in the u9 girl’s long jump, great running and jumping also from Amelia Holland, Molly Moran, Sophie Coroner and Niamh Colgan. Ciara Coroner finished 2nd in the u10 turbo javelin and 4th in the 500m, Caoimhe Fitzsimons had a great run to finish 3rd in the u10 500m. 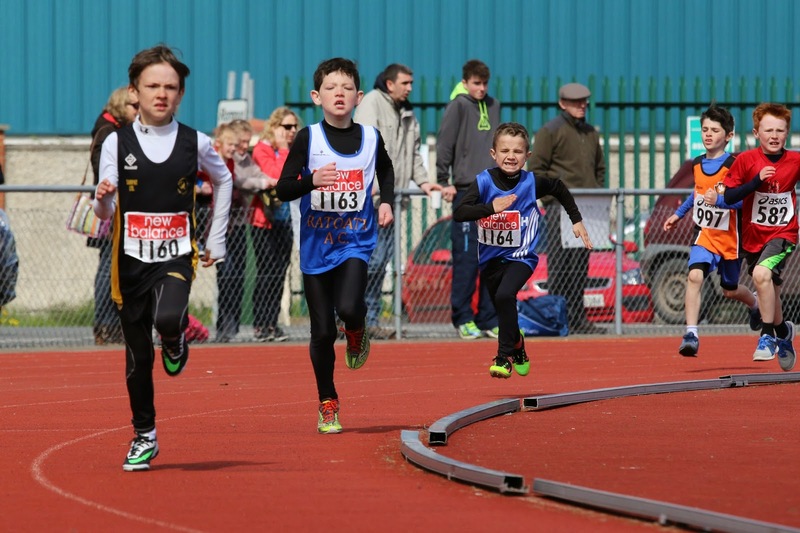 Harry O’ Connor had another good run to take silver in the u11 boys 600m, Stephen Walsh and Oliver Walters also running well. Sophie Quinn was in great form winning the u11 girls long jump and finishing 2nd in the 60m, Laura Kelly in hot pursuit taking 3rd in the 60m. 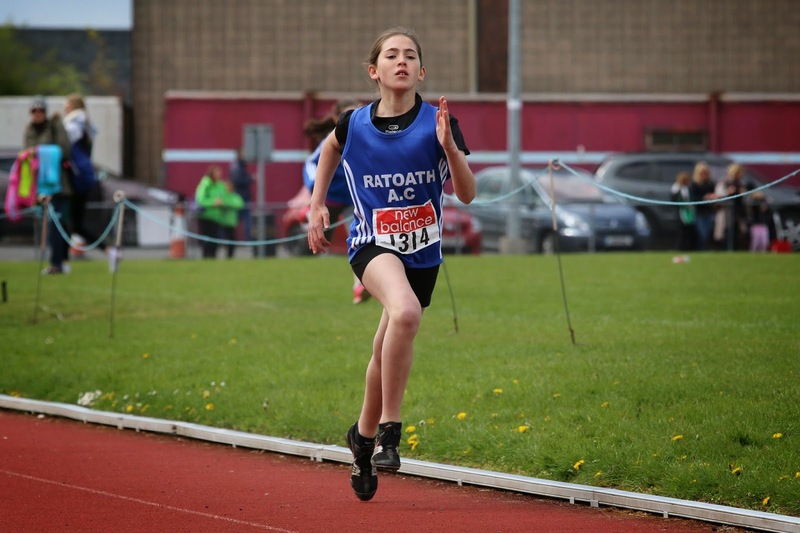 Aimee Doherty finished 3rd in the u12 girls high jump and had a good win the u12 girls 600m, with Eabha Toole in 2nd and Amelia Campbell unlucky to finish outside the medals in 4th, Ciara Walsh also running well in her first championship race. 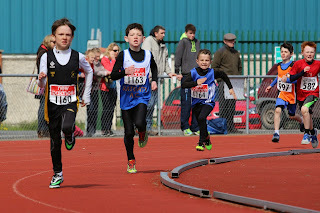 Kyle Witter, Stephen Kiernan and Jamie Fewer competed well in the u12 boys 60m and long jump. Tom Kilgannon just finished outside the medals in a tight u13 boys 60m final, Lili O’ Connor and Aoife Rutherford taking gold and silver in the girls 60m, Lili also finished 3rd in the shot putt and 2nd in the 600m with Aoife close behind in 3rd. Adam Quinn who is going from strength to strength this year finished 3rd in the u14 boys 1500m, Fergal Kilgannon another athlete who has made a significant improvement recently finished 3rd in the u15 boys 1500m. 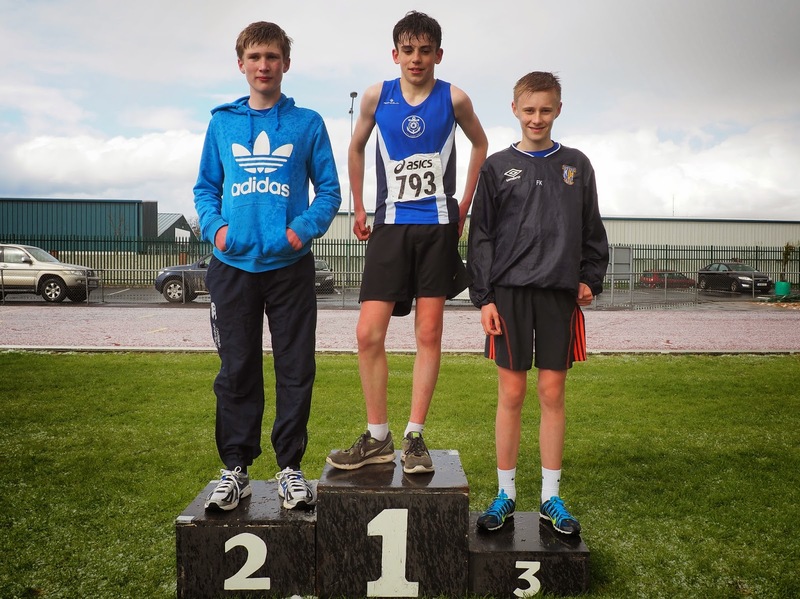 Matthew Buckley and Daragh Casey both had comfortable wins in the boy’s u14 80m and u15 100m, Emma Coroner had a tight finish in the girl’s u14 80m but took the gold to add to her long jump gold. 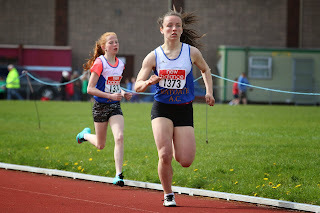 Aine Cooney who is in flying form at the moment was a very impressive winner of the u15 girls 100m. 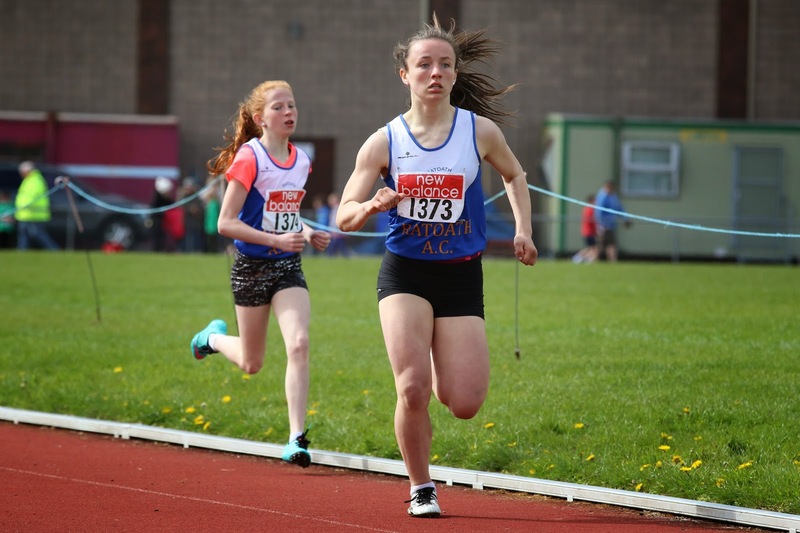 Amber Roche and Ciaran Crowther also impressed in the u18 1500m event, Ciaran finishing 1st with Amber 2nd in the girls race. 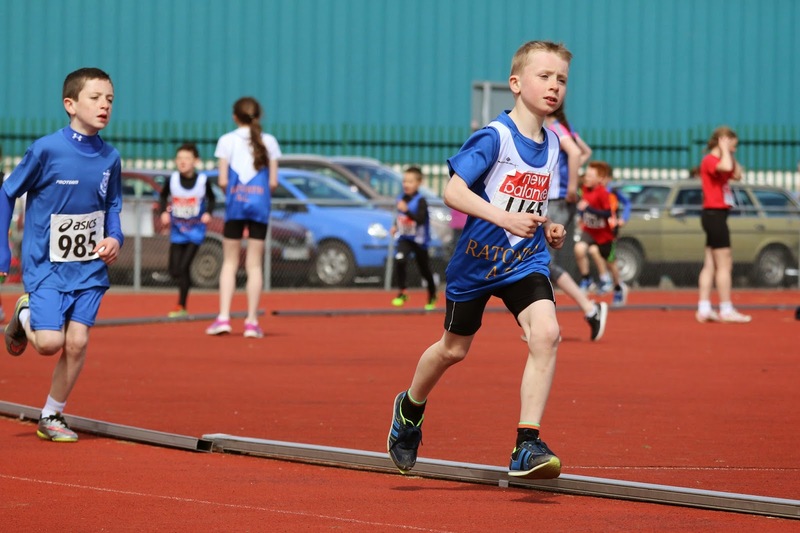 Hugh Kelly and Siobheal Murray were easy winners of the Master High jump, Hugh also taking silver in the long jump. 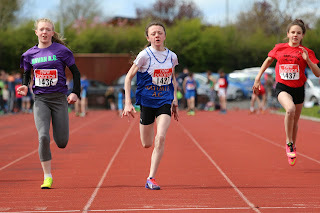 We have not yet received all results from day 1, so apologies if we have missed out on anybody.